Have you ever installed trial software and wished you had another month to play with it? Have you ever noticed the more software you install the slower your machine gets even after you remove it? Have you ever wished you could just install a piece of software just to see if it is what you want and not have to worry about it crashing your machine? Well, these problems and many more can be solved when you go virtual. Virtualization allows you to create a machine that you can technically trash and not have to worry about a thing. Once that virtual machine gets to a point you don't like; just revert back to a point you did like and you're ready to go again. This is the beauty of virtualization! Virtualization has now come to the masses and now it's your turn to tap into this powerful technology that will help you work in a cleaner, safer, smarter environment. Terms like virtualization and cloud computing have only been reserved for corporations with large pockets. However in the last couple of years the landscape in this technology has changed dramatically. In fact not learning and understanding these technologies can impact your business and your bottom line. The main reason why you should learn how to virtualize today is because the process has never been easier. I have included a very basic video tutorial below that will run you through getting your own virtual machine set up in under 20 minutes. 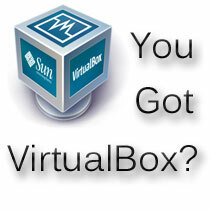 I'll be using the free software from Oracle called VirtualBox. This piece of software is clean, polished and very easy to use. Don't be intimidated when setting up a Virtual Machine. The process is very easy and you will find that there are many benefits of using a second computer far beyond what I mention in this article. Before we dive into setting up your Virtual Machine (VM) lets run through a really quick history. Virtualization ultimately came out of the need to cut down on the price of hardware, thus was born the idea to run multiple operating systems on a single hardware infrastructure. In short, I could put a Linux, Windows and MacOS X on just one computer and actually run them all at the same time and share their resources such as a hard drive, CPU and memory. The idea to mix and match any combination is limitless. So if I only preferred Windows 7 then I could run several Windows 7 instances on my single CPU pending it has enough memory and decent CPU or the same would go for a MacOS X system. The savings that companies begin to see by consolidating their operating systems grew to a large industry we see today as virtualization. Ever try a MAC system? Now is your chance to grab the DVD at Amazon! This should really only be used for fun and not commercial use. If you want to be official with Apple, you need to buy Apple hardware. The main players in this industry today are VMware, Oracle, Windows, FUJIFILM, and Red Hat. There are many others but these are the oldest and largest, as far as if you're concerned with your own computer or small business . The players are VirtualBox, VMWare, Windows Virtual PC, and a few others. I personally have used all three of them and my favorite is VirtualBox. So lets go ahead and take advantage of this powerful technology on your own PC, Mac or Linux box right now! If you're looking to get free copies of Windows operating systems and tons of other free Microsoft products for at least three years, you can sign up for the Biz Spark Program. These are very high level instructions, if you want detailed step by step instructions visit the VirtualBox documentation website. All Operating System (OS) downloads are stored on a file called ISO. This is what virtual box you will need to run the setup or you can use the DVD that came with your PC/MAC/Linux box when you purchased your computer. For Windows operating systems, you will need your license key. This can be the same key that your current machine is using. For a list of downloadable ISO see ISO Listings table below. For Windows users you can use the same Serial Key on your current system. Absolutely, helpful post for me. For many reasons we lost the speed of pc and Virtualization can helps to speed up your pc. Thanks for sharing. A question Cory..I watched half if this video so far and wanted to ask, is this VB a different version of running parallel desktops in a mac? Is the main difference that you can run them simultaneously, (in mac you can run one or the other, not side by side).? Also, can you run VB from an external drive? Where is the vid..? I don’t see it here…hello…! Great video. I’ve only ever used vmware and virtual pc. Nice to know that something as powerful as virtualbox is available and for free no less.